LinkedIn has undergone a number of changes as of late. For proof of this, you needn’t look any further than the layout change that started to roll out last month. With said layout change, LinkedIn will become a more functional website, not only drawing in new users but ensuring that preexisting users stick around for the long term. 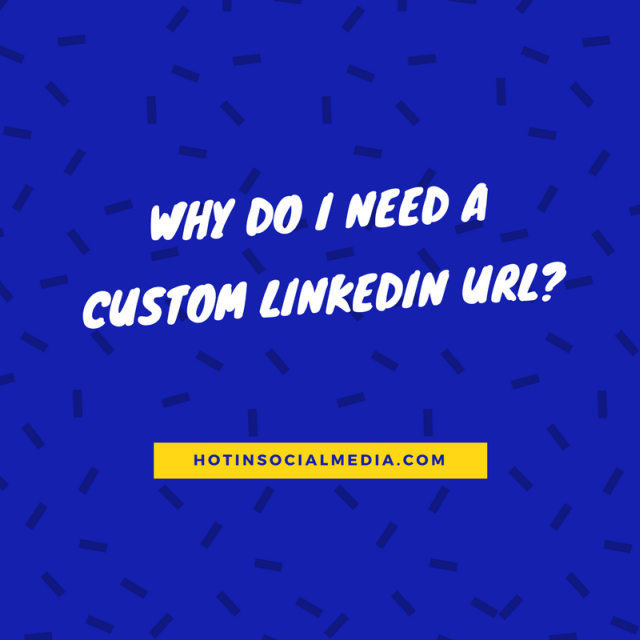 If you’re one of those that hasn’t given your LinkedIn profile ample attention, you may not know that you can claim your very own custom URL for your profile. In order to create a custom LinkedIn URL profile, all you have to do is click on your profile, where you can make adjustments to all of the various details about yourself. From there, you can edit your URL, changing the very last part of it to something all your own. Keep in mind that in order to finalize this change, the URL you have chosen must be free. In other words, if someone claimed it before, you’re out of luck. If it’s unclaimed, however, you’re good to go. Changing your LinkedIn URL is a simple process, but this begs the question, “Why to go through the trouble in the first place?” Apart from a cosmetic different and potential bragging rights, why should a LinkedIn user implement an entirely unique URL? What you may not know is that the benefits go deeper than aesthetics alone. One of the reasons why you should change your LinkedIn URL is that it helps you stand out from the pack. According to Statista, there are approximately 467 million users on this social media platform. What you may not know is that only a small fraction of this user base knows of this feature. What this means is that, more often than not, you’ll find that URLs look largely the same. This isn’t a negative, but it speaks to how hidden certain features on LinkedIn are. When you take the time to create an URL that’s largely different from other profiles, your own presence on the site becomes greater. More importantly, however, a custom LinkedIn URL allows you to come across as more professional. On a social media platform that brings business owners, CEOs and other reputable authorities in the working world together, professionalism is essential. When you’re able to select a cleaner URL, preferably with fewer numbers and special characters, it gives off a more positive impression. As a result, you might be targeted by recruiters and potential employers more often. If you want to be seen as reputable, regardless of the industry that you’re in, a custom URL for your LinkedIn profile goes a long way. Finally, you may be interested to know that custom LinkedIn URLs are better for SEO purposes. One of the biggest factors that go into a website’s ranking, according to various online marketing firms, is how readable it is. This applies to its URL, and it’s worth noting that scattered numbers and special characters won’t lend well to readability. By shortening your profile’s URL, you have the opportunity to make it more readable, potentially increasing its ranking by proxy. Your mileage may vary with this benefit, depending on how much of a priority you deem SEO to be, but it’s worth noting all the same. These are just a few reasons why more LinkedIn users should try to get their hands on custom URLs. What is your take on them, though? Do you see the value in them, or do you regard them as largely unimportant? Please leave your thoughts in the comments!